[Medford, Oregon, USA] – A lifelong, multigenerational passion for ballet and the arts runs deep through the Roxander family. Proud parents of two boys and owners of Studio Roxander Academy of Ballet, David and Elyse Roxander of Medford taught their sons all they know about life and the ballet. At the Youth America Grand Prix in Seattle, Ashton and Jake Roxander competed against dancers from around the world and received top honors. The Youth America Grand Prix is the world’s largest international student dance competition. In spite of the tense environment, the brothers excelled at the competition. Ashton, 18, took first place in the Classical Senior Men’s/Women’s Division and second place in the Men’s Contemporary Division. “It felt great to win first place in the Classical Division for the second year in a row. It was an honor, especially because I was competing against the girls as well as the boys,” says Ashton, who is a trainee with the Boston Ballet and actively pursuing a career as a professional dancer. Jake, the youngest of the family at age 13, was awarded the elite youth Grand Prix title. The award is presented to the dancer who, according to the jury panel, has exceeded all other male and female scores in their division in both the Classical Ballet and Contemporary/Open Dance categories. Bell won the Grand Prix when he was 12. It wasn’t only the Roxander brothers who were honored at the regional event. David and Elyse received a special award for Outstanding Teacher. “My dad is the most qualified in the area to train male dancers, and that’s not just my opinion,” says Ashton. Ashton and Jake each scored a 96 out of 100 at the Youth America Grand Prix, which qualifies them to compete for international titles in their respective categories at a competition in April in New York City. “It’s like the Olympics with no practice,” says David. The Roxanders will spend eight days in Manhattan, traveling all over the city to different venues. The boys will compete for two days and perform in master classes the remainder of the time. The classes are also judged. 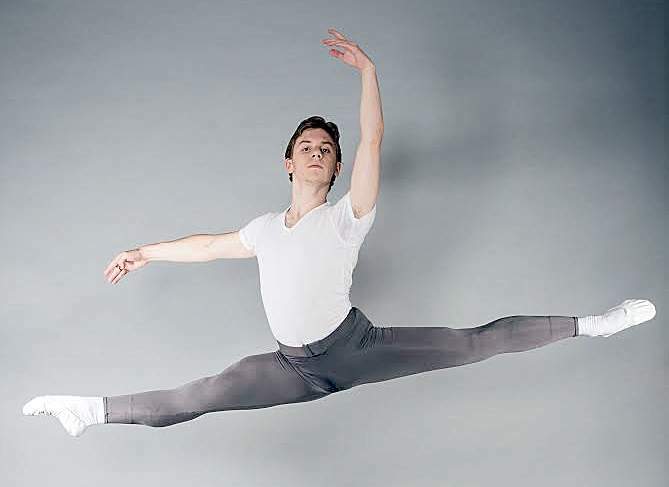 [Edmonds, Washington, USA] – Eighteen year-old Aeden Conefrey, an Edmonds native and Olympic Ballet School alumnus, placed second in the senior men’s classical category at the 2015 Philadelphia Youth America Grand Prix ballet competition. He then went on to compete in the New York finals, where he placed in the top 12. The YAGP is the world’s largest international student dance competition and has jumpstarted the careers of many of today’s leading dancers worldwide. A senior in high school, Conefrey has spent the 2014-15 school year training on scholarship at the Rock School for Dance Education in Philadelphia. For the past several months, he has spent countless hours perfecting his technique in the studio, while completing his academic studies independently. It was his prior training at Olympic Ballet School under Oleg Gorboulev and Mara Vinson that awakened his desire to dance professionally. “Had Oleg and Mara not shown an interest in Aeden, and provided a great foundation for him, it’s not likely he would have done as well as he has,” said Conefrey’s father Kevin Conefrey, a member of the Edmonds Arts Commission. Conefrey trained at Olympic Ballet School for three years, performing in Olympic Ballet Theatre productions such as “The Nutcracker,” “Giselle,” “Coppelia,” and even the lead in “Petrushka” with The Seattle Symphony at Benaroya Hall. Looking back on his son’s time at Olympic Ballet School Kevin Conefrey said, “In the summer of 2011, Mara and Oleg first asked for permission to have Aeden participate in their upcoming Nutcracker season. “Aeden had just finished his summer intensive and recital. Dawn-Rene and I were both hesitant – Olympic Ballet seemed like a really big commitment. Very quickly Olympic Ballet Theatre led to attending Olympic Ballet School. For three years Aeden blossomed as a ballet dancer with Olympic Ballet. 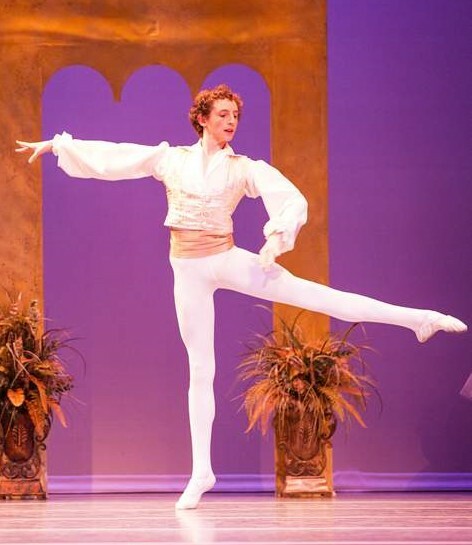 Ultimately, he decided he wanted to pursue dance as a career.” Conefrey’s success at YAGP has brought offers of scholarships to continue his training at Dutch National Ballet, Royal Winnipeg Ballet, Zurich Dance Academy, as well as the Joffrey Ballet in the U.S. Though faced with a difficult choice to make, Conefrey is headed on his path, in pursuit of his goal to dance professionally. 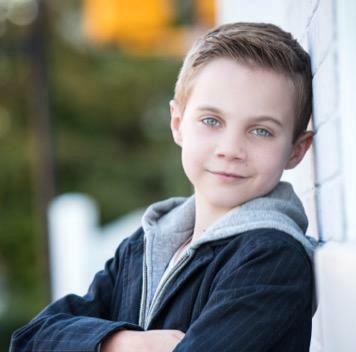 Four years ago, dancer Harrison Lee was invited to New York to audition to play Billy Elliot on Broadway. He danced and sang his heart out but missed out on the part by a few centimetres. ”They were looking for someone under four foot 11 (1.5 metres) and Harrison was just a tiny bit too tall,” mother Cindy said. The role would not have been a stretch – Harrison’s life reflects Elliot’s, right down to the way he stumbled upon ballet. When he was six, Lee’s grandmother dragged him along to his younger sister’s first ballet class. He had wanted to stay in the car (Cindy says he was ”being an angry little ant”), but gran refused and made him sit in. When the music began to play, something changed. ”As soon as it started, I just wanted to get up and dance,” said Harrison, of Castle Hill. ”It just took over my body, it went through me.” He began tapping his feet, his eyes widened. He promptly marched over to the teacher and asked to join in the class. 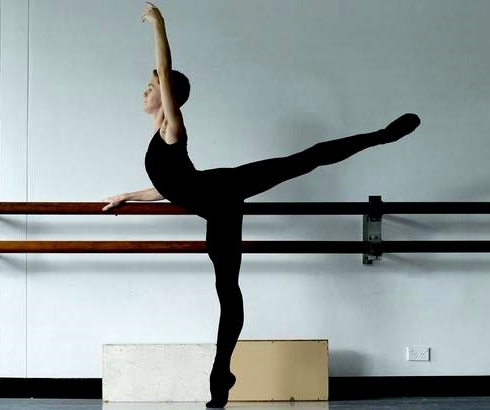 Harrison, 14, this month took out the world’s most prestigious ballet prize for young people, the Youth America Grand Prix. Over six days, across six venues in New York, Harrison danced in workshops and in staged performances with 440 dancers from 31 countries, all under the gaze of adjudicators and scouts from the world’s best ballet schools. The next day he won the junior grand prix prize, singling him out as the best overall junior male or female dancer. 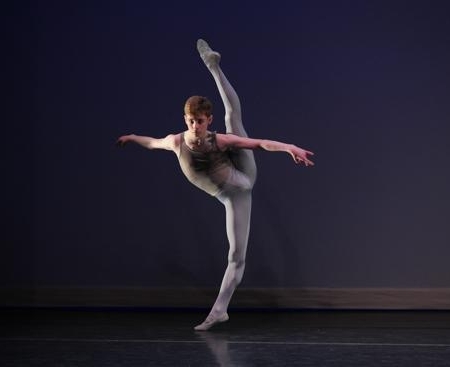 He received scholarship offers to join the American Ballet Theatre school in New York and the Royal Ballet School in London – he could be living in either city as soon as September – and emails are still rolling in inviting him to more schools. [New York City, New York, USA] – Japan’s Haruo Niyama won first place Thursday in the senior division for men in this year’s Youth America Grand Prix, one of the world’s largest student ballet competitions. The senior division is for dancers aged 15 to 19. Niyama, a 17-year-old high school student in Matsumoto, Nagano Prefecture, drew attention after winning the top prize in the 2014 Prix de Lausanne, a prestigious international competition for young ballet dancers, in February. “I think he was under pressure after winning the top prize in Lausanne,” his 26-year-old sister, Hitomi, said. “I’m happy he was able to dance as usual,” she said. Jun Masuda, a 13-year-old from Osaka Prefecture, also won first place in the YAGP’s junior division for men aged 12 to 14. The U.S. ballet competition is held annually in New York and is open to student dancers of all nationalities aged 9 to 19. Austen Acevedo, 14, finished second in his age range of 12-14 and Blake 16, placed third in his range, 15-19. The International Olympic Committee recently voted [September 2013] to restore wrestling to the Olympic Games in 2016. One activity that’s never been put before the committee: ballet. Despite its physical similarities to gymnastics, ice-skating and ballroom dance, most ballet dancers would bristle at the suggestion that it’s a sport—and yet, many ballet teachers and directors have embraced Olympic-style competitions in which aspiring dancers compete for gold, silver and bronze medals, scholarships, contracts and even cash. “The curious thing about dance now, and ballet in particular,” Jennifer Homans recently argued in The New Republic [October 4, 2013], “is that it has taken the form but left the feeling. Artists today seem more attached to form than perhaps ever before—wedded to concept, abstraction, gymnastic moves and external appearance.” This dearth of feeling might have something to do with the growth of competition culture, in which artistry is scored and treated as just another variable. For instance, at the Youth America Grand Prix, the biggest annual student competition, artistry and technique are equally weighted, with each evaluated on a 100-point scale. And some students at many of the world’s top ballet schools, like the Jacqueline Kennedy Onassis School at American Ballet Theatre and London’s Royal Ballet School, are recruited through competitions like the Youth America Grand Prix (YAGP), the New York International Ballet Competition, and the Prix de Lausanne. While ballet companies worldwide have been struggling to attract audiences and donors, competitions have been growing ever bigger and more commercial. The last few decades have seen increasing participation and corporate sponsorship, as well as the founding of new competitions like YAGP in 1999 and the World Ballet Competition (WBC) in 2007. At YAGP, the biggest student competition, over 5,000 participants— some as young as nine—vie for scholarships, cash, and even modeling contracts. YAGP was further popularized by the well-received 2011 documentary First Position, which follows six contestants as they make their way from the regional preliminaries to the finals in New York. Needless to say, some traditionalists object. “I don’t like the idea of that kind of competition,” said Carol Sumner, who danced as a soloist at New York City Ballet under George Balanchine. “To be a great dancer doesn’t mean to have a great technique. What you have to be is interesting. Mr. B [Balanchine] said he chose dancers that are interesting to look at, he chose dancers that he wanted to see everyday—not necessarily the strongest ones.” But being interesting to look at won’t get you far when you’re being scored on the height of your extensions and the number of pirouettes you can turn. The rise in student ballet competitions might have something to do with the growing competitiveness of all children’s activities, from chess tournaments to spelling bees. Little League baseball—whose “world series” is now broadcast on ESPN—was founded in 1939; North America’s first international ballet competition was organized 25 years later. In The Atlantic last month, Harvard sociologist Hilary Levey Friedman relates the rise of competitive children’s sports to the frenzy surrounding college admissions as students scramble to fill out the “awards” section on their college applications. TV shows like Dancing with the Stars and So You Think You Can Dance, which have both been running since 2005, might also have played a role in normalizing dance contests. This is not to say that ballet is not inherently competitive. 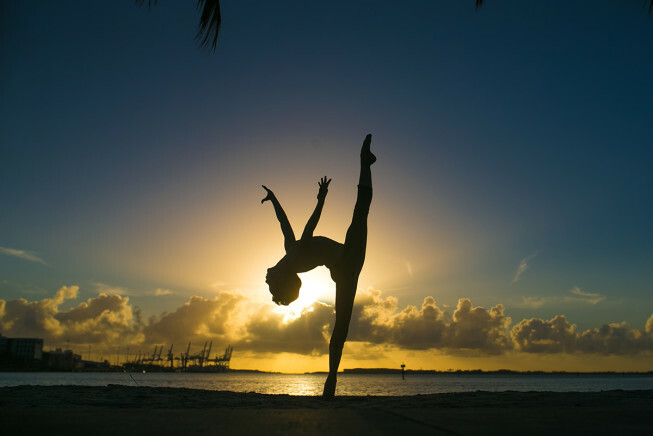 Dancers at every level compete constantly—for spots in summer programs and schools, for attention from teachers and directors, for roles and promotions. But there’s a difference between competitive rivalry and formalized competition. Homans writes that ballet today suffers from “too much athleticism” and a “fear of feeling.” What could be more likely to exacerbate the emphasis on technique than training dancers to please a panel of trained judges rather than a general audience? 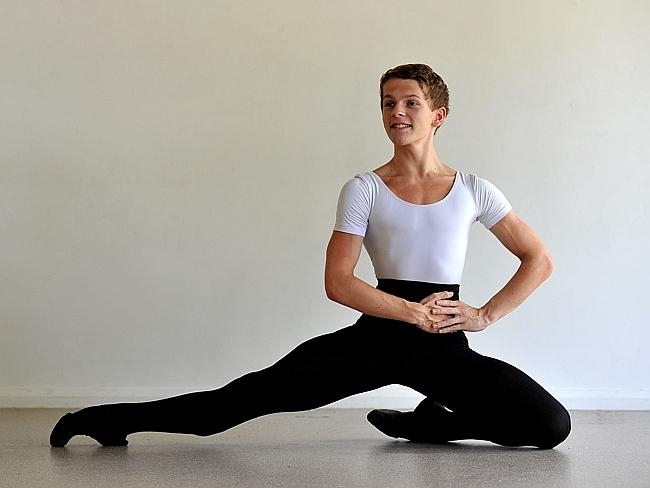 [Bateau Bay, New South Wales Australia] – Thomas Dilley has capped off an incredible comeback from injury with selection in the finals of the Youth America Grand Prix ballet competition in New York. Dilley, 15, of Bateau Bay, who was unable to walk for four months last year after breaking a bone in his foot, has rebounded to be in better form than ever. But even he was blown away when he was informed of his selection in the top 350 dancers from 7000 entrants worldwide for the prestigious competition. His application DVD – which included a performance of Le Corsaire – was submitted in November, with emails checked frequently in the ensuing months. Dilley received the news by email on his birthday on February 15 – the ultimate present for the aspiring professional dancer. “I was really shocked and just really excited,’’ Dilley said. While he has been dancing since the age of five, he didn’t move into classical ballet training until age 12, which is when he started working with dance instructor Kahlia Mehmet, of Premiere Elite, Tuggerah. Mehmet said the potential was always there with Dilley and his dedication to his craft has been constant. With his trip to New York less than two months away, Dilley is preparing to take on the best in the world, while his parents work out how to secure the funds to make it happen. While Mr Dilley needs to stay on the Central Coast to work and look after the rest of the family, Mrs Dilley is hopeful of making the trip with her son and Mehmet. The Dilleys are hopeful of support from individuals and Central Coast businesses. A family friend has also set up a fundraising website. [Providence, Rhode Island, USA] – In the darkened interior of the Veterans Memorial Auditorium, the blocks inside the toes of deceptively soft-looking ballet slippers made a repetitive thudding noise on the stage. Over and over again, young dancers lifted willowy arms and raised themselves en pointe under the watchful eye of Charles Askegard, a former principal dancer with the New York City Ballet. The Sunday afternoon workshop was one of several that ended a weekend of ballet competition and dance classes as Youth America Grand Prix held its regional semifinals in Rhode Island. The Youth America Grand Prix is considered the largest student ballet scholarship competition in the world, awarding more than $250,000 a year in scholarships that send young dancers to leading schools and dance companies to continue their training. About 350 dancers, ages 9 to 19, from throughout the Northeast showed up for the weekend event in Providence, which selected competitors to continue on to the finals in New York in April. Other regional semifinal events are being held across the country as well as in other countries, including Mexico, Japan and Belgium. “This is just a great opportunity,” said Maureen Reed, of Easton, Pa., as she waited with her husband to watch their daughter, Colleen, take part in Askegard’s workshop. They were also waiting for the afternoon’s awards ceremony, which would tell them if Colleen, 18, would be competing in New York. For the Reed family, it was a weekend of possibilities, and it was the same for Katya Strelnikova, artistic director of a small ballet company in New Jersey. A former soloist with the Moscow Ballet, Strelnikova said that Grand Prix competition is a place where dreams come true for some young dancers. And it also gives them wonderful performance experience and a chance to train with masters. She said that her students had a great experience in Providence, and that being on the stage of Veterans Auditorium had given the young dancers a taste of performing like professionals.